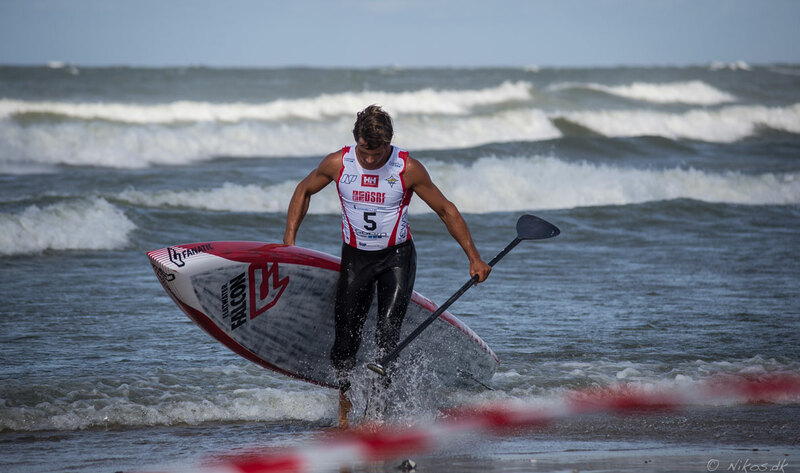 On the weekend of the 15th – 17th of August we saw the 4th annual edition of the Danish SUP Surf and Beach Race Championship. The location being Klitmøller (aka Cold Hawaii) on the west coast of Denmark, which offers great conditions for both surfing and paddling. The local surf club NASA and the community once again created a nice atmosphere and it will definitely be a weekend for the history books, with wild epic conditions and happy people. 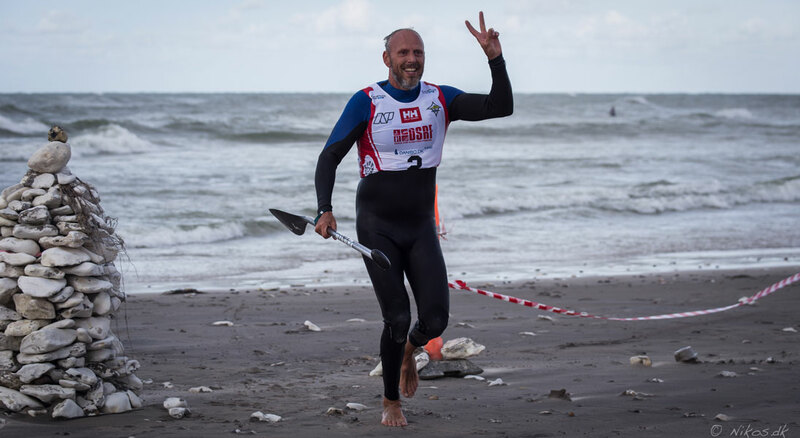 Approximately 40 people were ready for battle in the surf contest and the Beach Race. As a new discipline, this year also saw the first Danish National Prone championship. Watch out Australia haha! Friday was the opening day of this great weekend of action. First off was the Prone Paddle. It is a discipline that has existed for hundreds of years, but it takes some time before it reaches the north (laughs). 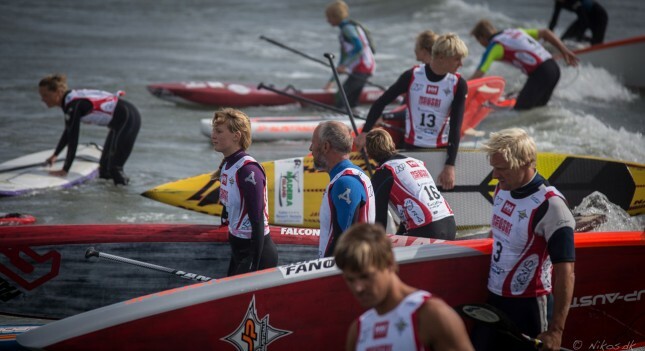 The local crew was ready to battle for it and it was cool to see the Danish Lifeguard community take part of the event. With no doubt we could see some of these strong prone competitors from the Lifeguard community from Denmark for the Worlds next year! The course of the race involved a few buoy turns through the waves. 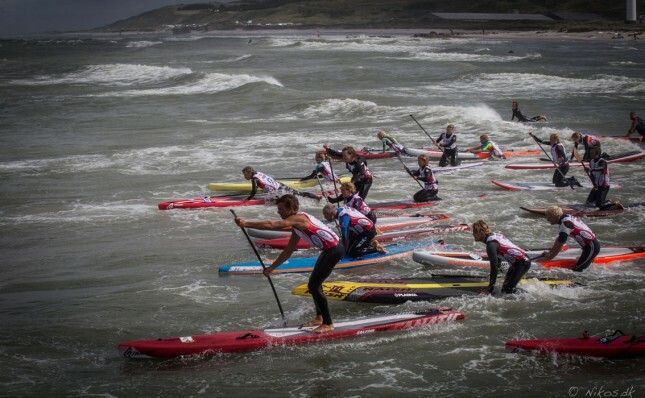 It was an exciting course as there was a solid swell challenging many competitors getting through the surf. I had super tough race, but I was stoked to take the win after a tight battle with my brother Peter. In the women’s we had two amazing paddling women with a lifeguard background. Danish super star Line Præst was up front the whole race and even beat many of the men! 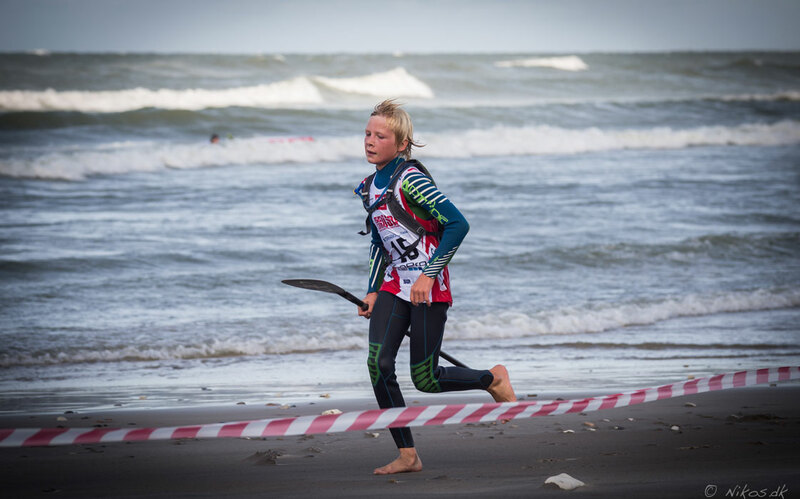 Line Præst will definitely be the Danish Viking Prone girl to look out for at the ISA Worlds in 2015. 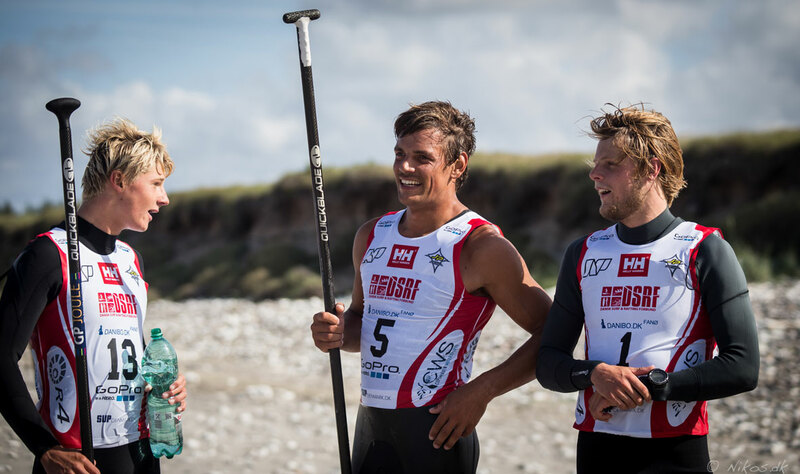 In the juniors it was the all-round water star Christian Andersen (a.k.a The Polar Bear) who took the win and Paula Werner taking it for the girls. Saturday morning all competitors met up in the local surf club at 8 o’clock for a briefing. Here the weekend’s agenda was set. After a close look at the report it was decided that the Beach Race would be held today and the surfing part Sunday. 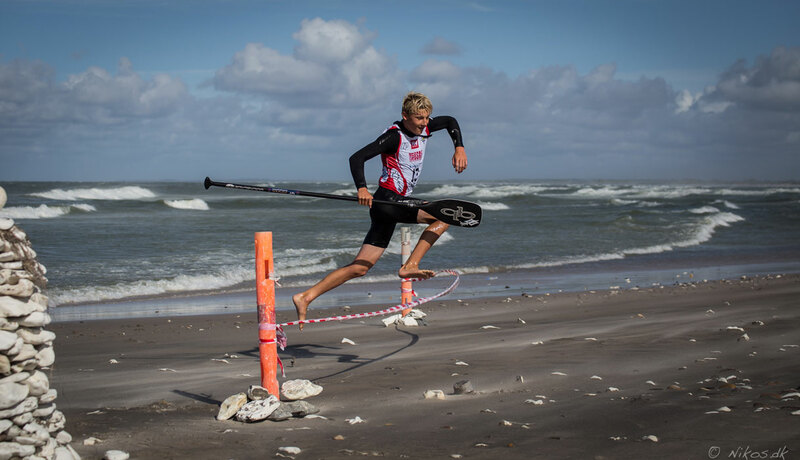 Because of the rather rough conditions of 15 m/s wind and good sized waves it was decided to do an epic downwind run following what is considered the best route in Denmark. Everybody was excited and couldn’t wait to get started. The race was set off at 3 o’clock in Hanstholm where the paddlers started their epic 7 km journey to their destination in Vigsø. The conditions definitely met the criterias of a beach race; wind, current and waves! And it would be whoever could master all these factors that would take the title! This made for a very dynamic race. The top 5 were not predictable throughout the whole race as everyone was switching positions when they caught waves and bumps past each other. 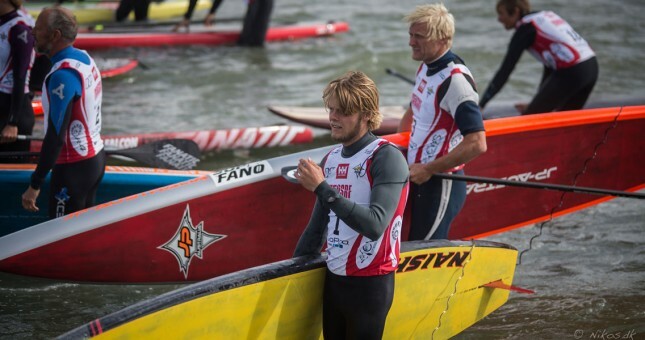 Mads Ring, Lars Petersen and Peter Steinfath had a close match the whole way. Mads and Lars chose an outside line leading most of the way, while my brother Peter chose to take the inside wave line. Towards the end in the last kilometer Peter managed to connect 3 long breaking waves and just passing Mads and Lars in the end to take 2nd while Mads took 3rd and Lars 4th. I had a blast battling with everyone and was stoked to see everyone having fun. I pushed myself as hard as I could and caught some amazing bumps! I was shocked when I checked my GPS watch after the race and saw that it had measured my top speed to be over 31,5 km/h while riding the bumps. This was definitely one of my favorite downwinds of all time and I was stoked to win the Danish Championship Title! 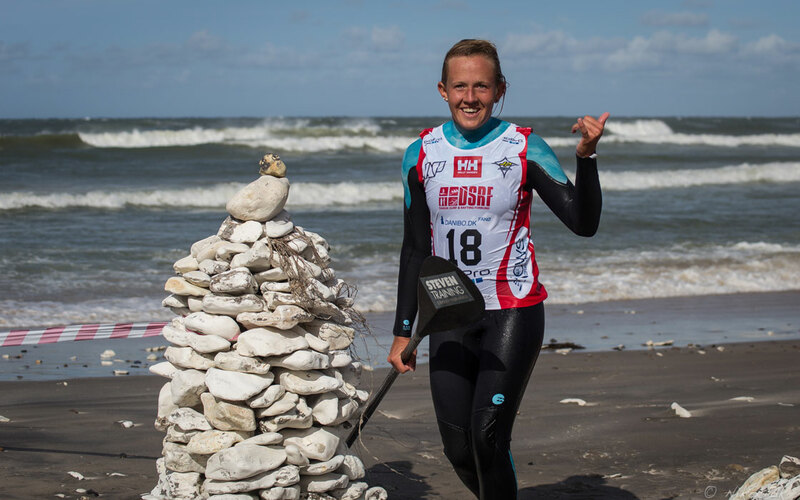 In the women’s Nicoline Rasmussen continued to show her dominance in the Danish paddle scene taking 1st. 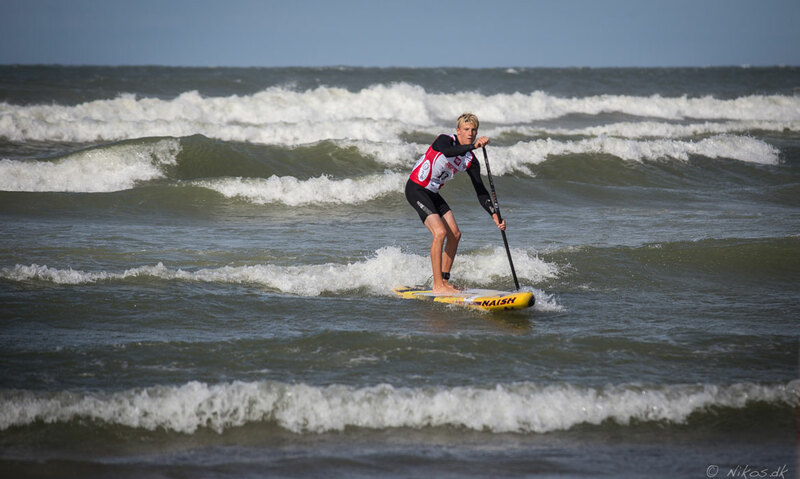 Christian Andersen took the win in the juniors and also made the top 5 in the open. Jens Wohlert finishing off the categories winning the master in this amazing downwind. It was amazing to see so many happy people crossing the finish line after what could be described as “Victory at Sea”. 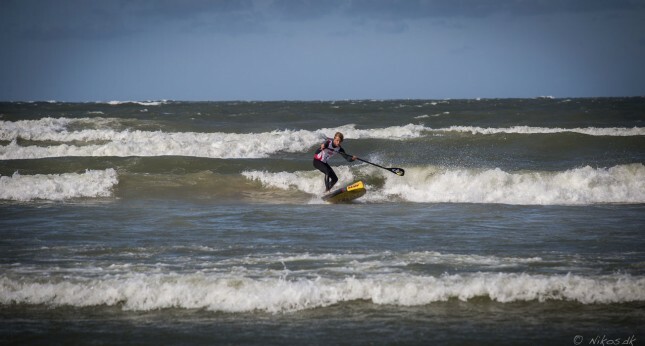 The level is really going through the roof in Denmark and it is exciting to see so many new faces having fun on the water. The day ended off with good stories from the race and refueling for the following day’s SUP Surf event viking style with meat and beer. Sunday morning it was time to kick off the surfing part. Waves were pumping and after a short brief the contest was on. It was clear to see already in the opening heats that the level of surfing has increased and improved since years prior, which led to some very close heats. Mother nature kept delivering the goods all day. It was to be a close final in the girls between the defending champion Annette Carsing, Nicoline Rasmussen, Mette Knakkergaard and german wildcard Paulina Herpel. After nail biting scores Annette Carsing showed that she had what it took to defend her title. Once again we saw an amazing performance from the on-fire Polar Bear, Christian Andersen who showed that not only is he a threat in the juniors but most certainly also in the open. He showed a lot of new school moves and only lost in a very close semi-final to Sebastian Kornum and yours truly. Karsten Krongaard and Christian Thygesen were also some of the contest’s dark horses. 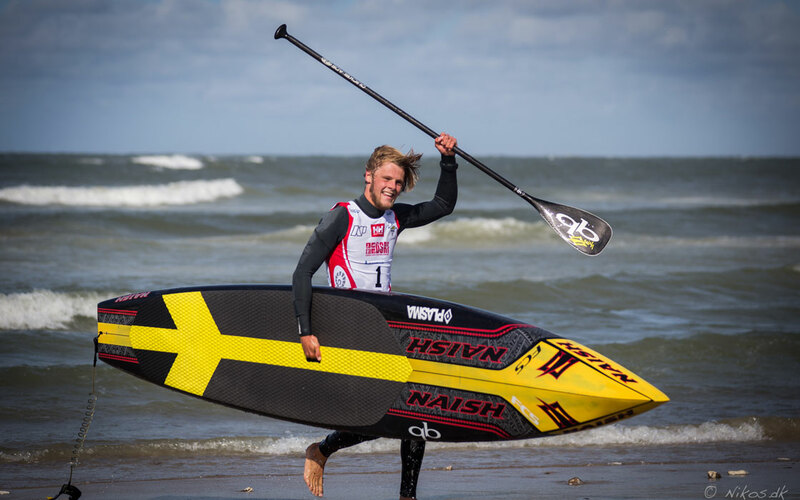 Showing good flow and style proving that the level still is rising here in Denmark.